A container ship sits docked in a berth at the Port of Oakland. Early returns indicate that dockworkers at 29 West Coast ports, including the Port of Oakland, will approve a three-year contract extension with shipping companies, union leaders said Sunday. The International Longshore and Warehouse Union said the early results show that the proposed extension with the Pacific Maritime Association will be approved by 67 percent of its members in California, Oregon and Washington. The workers' agreement, which was scheduled to expire on July 1, 2019, would be extended to July 1, 2022, if the agreement is ratified when the official results are announced on Aug. 4. ILWU members voted on "the employer's unprecedented contract extension proposal after a year-long debate and democratic process" in which every worker had an opportunity to vote, the union said in a news release. The union said the extension would raise wages, maintain health benefits and increase pensions. "The ILWU was founded on the principles of democracy, and the rank-and-file have always had the last word on their contracts," ILWU international President Robert McEllrath said in the release. Port of Oakland officials said they applauded word that dockworkers will likely approve the contract extension. 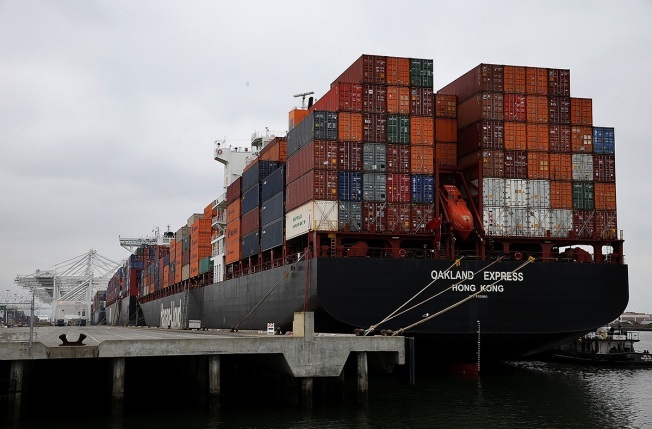 "This shows that the West Coast means business when it comes to moving cargo for our customers," Port of Oakland Executive Director Chris Lytle said in a statement.